Coral seas are the most colourful and diverse habitats on Earth, built from a unique symbiotic relationship between coral larvae and algae. 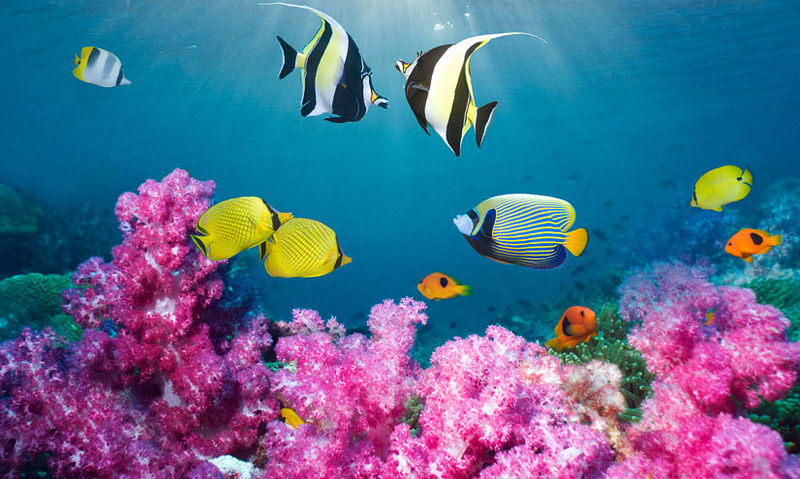 Coral reefs are found in warm, tropical oceans and are the largest living structures on our planet. It can take thousands of years for a mature coral reef to develop. Coral forms a symbiotic relationship with algae that lives on the reef and performs photosynthesis, producing energy for the coral. Storms, pollution, rising temperatures and overfishing are destroying coral reefs at an alarming rate. In warm, clear, tropical oceans lie the world's richest and most colourful marine habitats, coral reefs, the largest living structures on our planet. But these organisms are not plants, they're animals.